My name is Giridharan and my brother (Murlidaran) is currently under treatment for gangliocapsular bleeding at MS Ramaiah hospital bangalore. 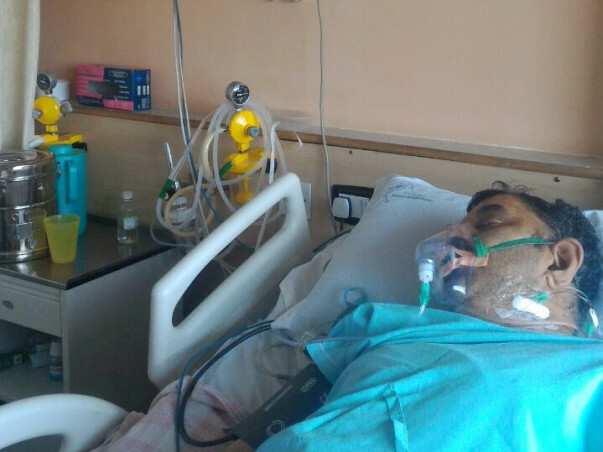 He is presently kept in ICU for monitoring. As per the Doctor's update till now the bill is 5,30,000 and would be charged up to 800000/- You can find more details in the below attachment given by the doctor. Funds would be directly used for my brother's treatment. What are the treatments done till now? As of now surgery has been done and the blood clot has been removed from the left side of the head. We are deeply saddened to inform you that Muralidaran passed away last week. Even though he was discharged from the hospital, the multiple procedures had taken a toll on his body. His health deteriorated over the last couple of months and he breathed his last on December 5. His family members are grief-stricken as he had been fighting the disease for more than eight months. Let's pray that they find the strength to cope with this loss. I am Sudhakar, a Milaap Open fellow in Bengaluru. I spoke to Giridharan, Muralidaran’s brother today. 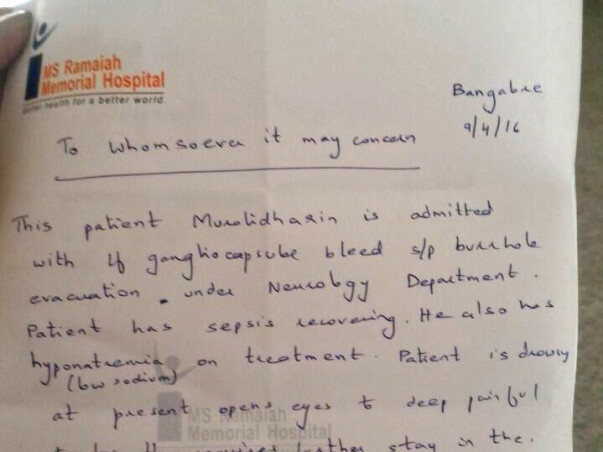 Muralidaran got discharged last month from the hospital after a number of procedures spanning 4 months. 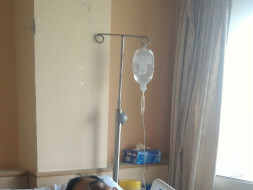 He was admitted in the hospital for post surgery treatment , after his surgery in the month of March. He is bedridden at present because his right leg is not functioning completely even now. He is currently taking medication daily and is also undergoing regular treatment by a physiotherapist. 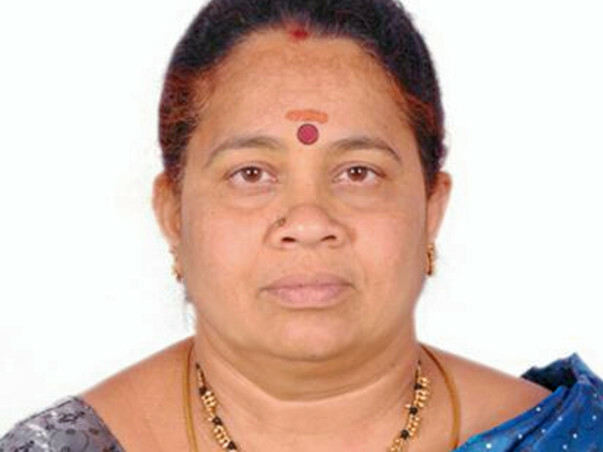 The total expenses for the surgery and treatment exceeded Rs 18 lakhs. His family members raised the remaining funds from various other sources. Giridharan says, “Even though we are from a middle class background, we somehow managed to raise the funds for my brother’s treatment.” Doctors have said that it will take quite some time for complete recovery. Let’s pray for Muralidaran’s quick recovery.